Seven years ago, Ss Peter & Paul and St Philomena’s Church was closed, leaking and full of rubbish. Today, two thirds of the roofs have been restored with a fourth restoration project funded by Heritage Lottery Fund (HLF) about to start; and the community is growing. Bishop Davies’ vision was for a Shrine Church for the whole diocese, based on the traditional Mass and daily Adoration of the Blessed Sacrament which he entrusted to the Institute of Christ the King. 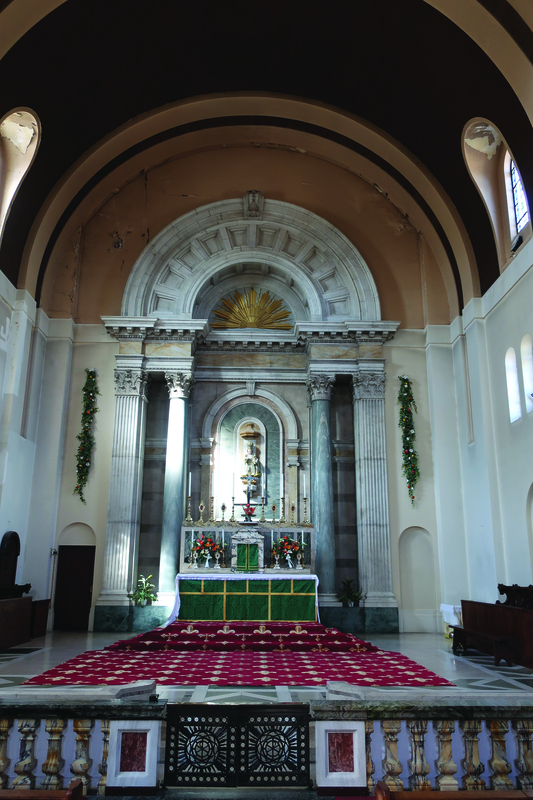 The church, has had three successful restoration projects under HLF Grants for Places of Worship, with match-funding from National Churches Trust and Latin Mass Society. Projects have developed ‘Activities’ to broaden public access, beginning modestly in 2013 with a volunteer-led Heritage Tour and a Guide book and culminating in a national award-winning Audio Tour as part of a Primary Education Pack. With the closure of the HLF Grants for Places of Worship in 2017, Canon Montjean’s team decided to apply for a larger Heritage Grant, in order to complete the restoration of the main sanctuary and the dome roofs. Preparation for this next project began over a year ago, Canon Montjean was delighted to be awarded a First Round Pass for £ 72,000, despite stiff competition. This amount will be used to develop the project and prepare for second round application. Thirteen projects applied at First Round, with only three successful, the Dome being one of them. HLF require successive projects to engage more people and diff erent audiences. ­ e new project proposes a variety of Activities such as collecting memories for a dementia-friendly, Interactive Photo Album, to digitise significant life events such as Baptisms, First Holy Communions and Weddings; an intergenerational event to help children discover grandparents’ personal heritage; Scaffolding Tours for architects, surveyors and students; a Sector Learning conference event aimed at churches interested in submitting grant applications and a ‘Big-Choir Community Heritage Hymn Sing’.